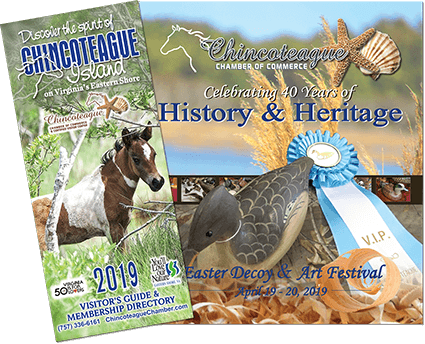 Snug Harbor Resort offers a celebration of nature in its most magnificent form, as the wild Chincoteague ponies run up and down the marshland, the local birds will sing you a song. As this perfect day comes to an end, the laid back reggae tunes will set the mood for the miraculous montage of Caribbean colors that make Chincoteague sunsets so desired. As you’re moved by the awe-inspiring experience, you’ll realize there is no place on earth quite like Snug Harbor. Snug Harbor has waterfront cottages that vary in size and price. The cottages range in price from $99-$289 per night. The price will vary on holidays,weekends and during special events. All rooms boast a world class waterview! Snug Harbor has the best waterfront location in Chincoteague. The hotel sits overlooking the Assateague Island where the wild Chincoteague ponies run free, the beautiful lighthouse and Chincoteague National Wildlife Refuge. Snug Harbor also offers a nice deck right on the water with picnic tables and chairs, outside grill, tiki hats, dock space, fishing and crabbing piers etc. 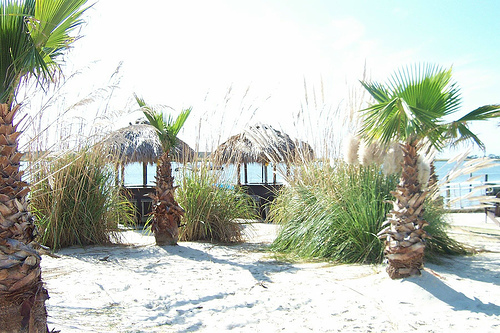 There is also a little sandy area with beach chairs and palm trees where you can just lay down and relax. 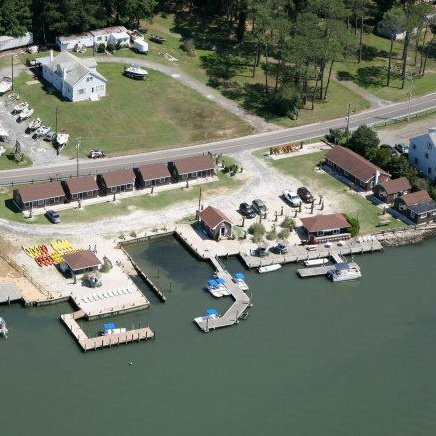 We also have a marina where you could rent a boat, conoe, kayak and go to explore the island by water or just rent fishing gear and try to catch your dinner. Snug Harbor is located on the tranquil side of Chincoteague which boasts one of the most incredible views on island. Our barefoot sophistication of a beach resort offers guests the personal touch of a boutique hotel without the 5 star prices. Snug Harbor isn’t a luxury hotel but a very nice budget hotel with comfortable accommodations with world class service. Please don’t hesitate, just come and give us a try!